Located in the Pacific Ocean almost halfway between Chile and Tahiti, Easter Island is one of the most remote and isolated places on the whole planet! Although it may seem like somewhat of a hassle to actually get to the Chilean-controlled island, those who do undertake the journey will certainly not be disappointed. 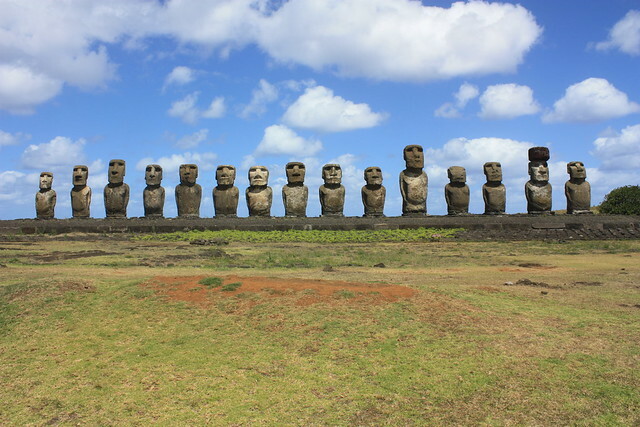 There are flights to Easter Island from Chile and Tahiti; flights take around 5 – 6 hours. Schedules may be somewhat limited, but it isn’t as hard to get there as some people may believe. Although there is no public transportation on the island, plenty of tour operators organize comprehensive trips around the main attractions. 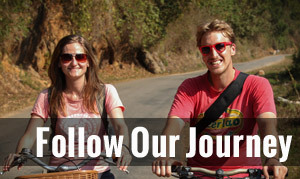 This is often the preferred way for most travellers to hit the highlights, although you can also rent a car or bicycle for some independent explorations. There are many terrific trekking routes too, and you don’t need a guide to be able to discover heaps of fascinating spots. 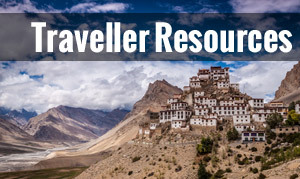 There is a decent selection of places to sleep, catering to a range of different budgets. There is also a good assortment of restaurants, although many menus will be fairly similar due to most produce needing to be imported. Fish and seafood, unsurprisingly, are pretty common mealtime options. There are several shops in the main island village. For most visitors, the large, fascinating, and somewhat mysterious stone figures known as the Moai are the main attraction. Some are mounted on platforms and gaze out over the ocean, whilst others sit on the ground. There are around 250 ceremonial platforms, and hundreds more statues! They really are a magnificent sight to behold. Seeing the carved figures silhouetted against the sky at both sunrise and sunset is simply magical; it really is an experience not to miss! There are many different archaeological sites – to do the island justice make sure that you allow a good few days at least to fully explore. Different groups of ruins belonged to different clans that lived on the island, so you will notice that there are quite a few differences between the different sites – you certainly won’t feel like you are looking at repetitions! Additionally, each individual statue was carved with different features. 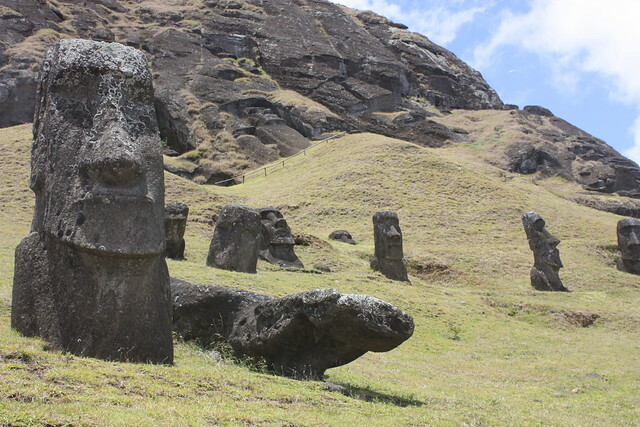 One of the most popular places on Easter Island is Rano Raraku. 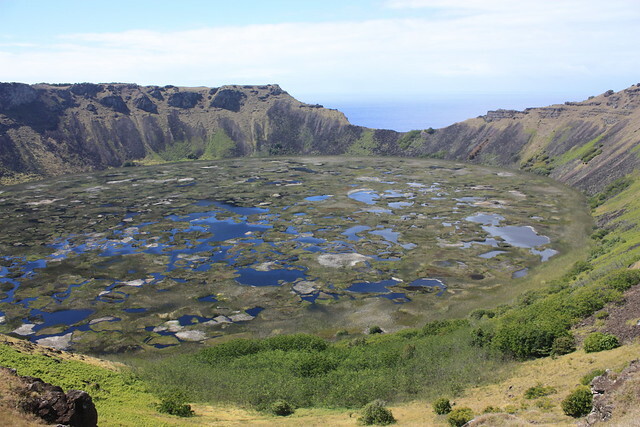 This is where you will find the largest concentration of intriguing Moai statues, and they stand on the hillside of a stunning volcanic crater. You can actually climb into the crater for a unique experience, and the views are absolutely amazing. Most of the figures were carved from rock that came from this very volcano. 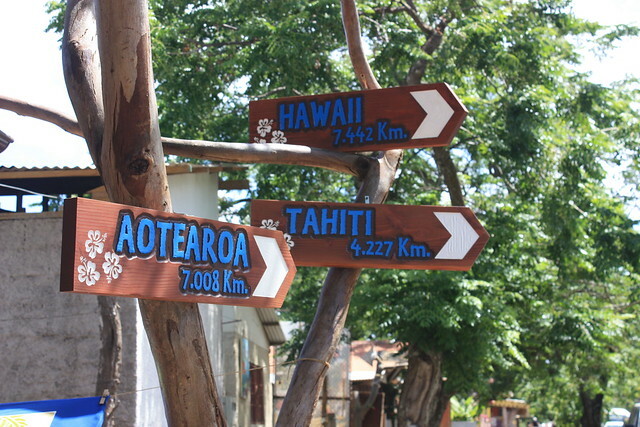 Ranu Kau, Ahu Nau Nau, Ahu Vaipu, Ahu Akahanga, and Ahu Akivi are also strongly recommended places to visit. 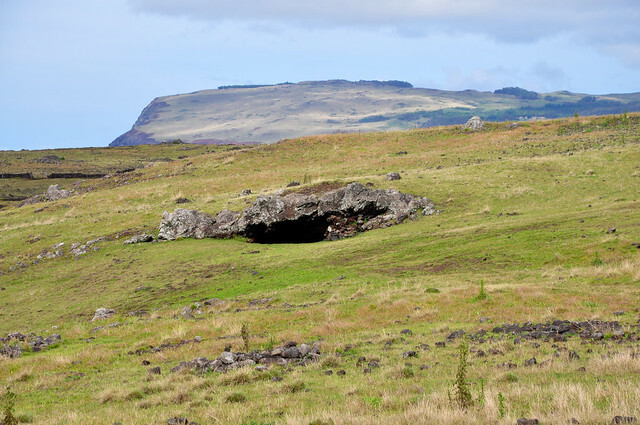 There is a large cave network on Easter Island, and it is possible to go inside and explore some of the dark caverns and chambers. Most of the caves are located close to Ahu Kakenga. Visitors should take lots of care though, as there are risks of collapse and flooding, as well as slippery surfaces and plunging drops! Relaxation – Easter Island Style! There are some lovely sandy beaches at the edges of the island, perfect for taking a break and chilling out next to the ocean for a few hours. 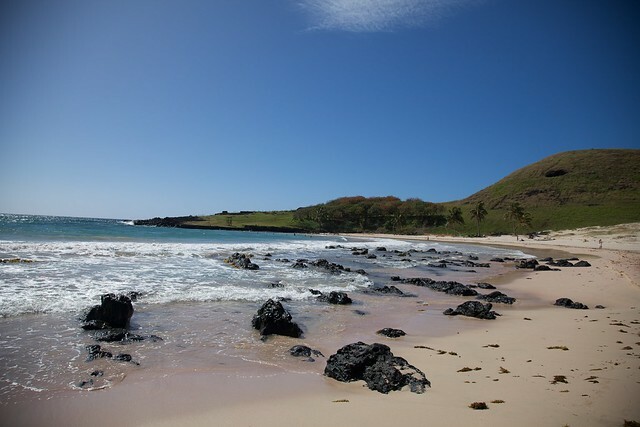 Swim in the sea and sunbathe on sandy shores as you soak up the beautiful scenic views. 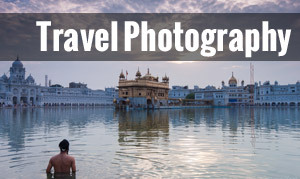 It is also possible to arrange snorkelling and diving in some places. Easter Island really is one of the world’s remarkable destinations, and a place that you certainly won’t forget for a very long time. 5 of the Best UK Social Gatherings in 2015!